rbanization, climate change and pollution, among other phenomena stemming from human activity, pose a threat to water resources. Until now, urban wastewater, of which there is the greatest amount, is in the best of cases treated and then discharged into the environment. It is also sometimes used for irrigation, but in small proportions. For example, in Catalonia, one of the places in Spain where reuse is most prevalent, only 10% of urban wastewater is used to water gardens or crops. Today, water scarcity and water pollution are major environmental problems that must be addressed. Managing water resources is particularly important in countries in the Mediterranean Basin, and this involves a variety of treatment and reuse strategies, and using water resources responsibly. To address the problems, the EU has launched initiatives to fund innovative ideas. The INCOVER project launched in June responds to the need for new water treatment and reuse solutions. 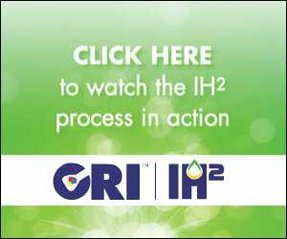 The main aim is to develop innovative and sustainable technologies for treating wastewater that will, in turn, generate value-added products and zero waste. Wastewater treatment must change its focus from waste treatment technology to resource production technology, as this will contribute to establishing a circular flow economy. 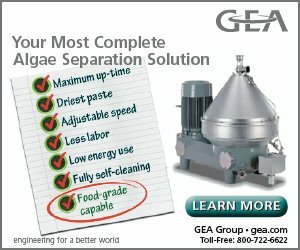 The solutions proposed by INCOVER based on alternative treatments for wastewater of urban, industrial and agricultural origin include the recovery of energy in the form of methane and the generation of other products such as bioplastics, organic fertilizers, water for irrigation and organic acids. These acids, which tend to be produced in the petrochemical industry, are used in food, medicines and chemicals. In the framework of the INCOVER project, the Environmental Engineering and Microbiology Group (GEMMA), led by Professor Juan García of the Barcelona School of Civil Engineering (ETSECCPB), is building one of three treatment plants in the Agròpolis, an experimental plot of land in Viladecans that belongs to the UPC and whose facilities are part of the Baix Llobregat Campus. 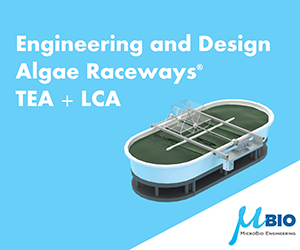 The aim of this plant is to treat wastewater using microalgae. This green treatment does not use chemicals and has proven to be very efficient at removing nutrients and other pollutants. The UPC will implement three photobioreactors for the development and optimal culture of algae. 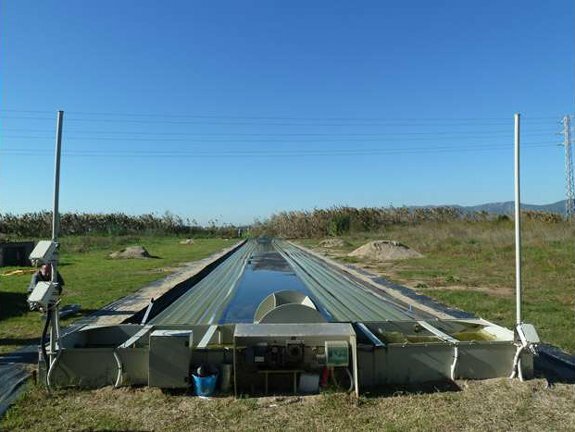 The photobioreactors, which each have a capacity of 10 m3, will be fed with domestic sewage and agricultural wastewater, which will provide the nutrients necessary for the growth of algae and biomass. The biomass will then be separated from the treated water and digested by anaerobic co-digestion for methane biogas production. The richness of the biogas obtained will be much higher than that which results from conventional digestion processes, as it will pass through an absorption column that will retain volatile gases and other pollutants that diminish the richness of the product. 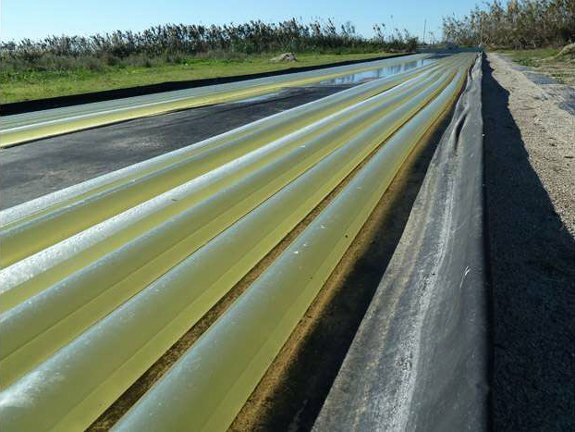 In addition, the solid waste from the digestion will be stabilized in artificial wetlands located in the Agròpolis and will be used to produce organic fertilizers. The wastewater treated in these photobioreactors will be subjected to solar ultrafiltration and disinfection and can be used for irrigation. 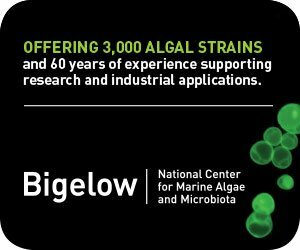 Another important development in this line of treatment is the ability of certain types of algae – cyanobacteria, or blue-green algae – to produce bioplastics. The conditions of the photobioreactors can be adapted to promote the population growth of these organisms, which can synthesize and accumulate bioplastics in the form of granules in the cytoplasm of the cell as a nutrient reserve. The properties of these bioplastics are very similar to those of traditional plastics produced by the petrochemical industry and have the advantage that they are completely biodegradable. Research is being carried out on their use in biomedicine (for prostheses) and particularly the packaging industry. The line of treatment of this UPC pilot plant is being designed to treat a volume of between 3,000 and 5,000 liters of wastewater, the equivalent of a small residential building. Scientists predict that it will be possible to produce 3.5 kg of bioplastics a day. The INCOVER project includes another pilot plant for algal wastewater research in Almería, Spain. The objectives of this research team, led by the company AQUALIA, are similar to those of the UPC’s line of treatment, that is, to obtain bioplastics, methane, organic fertilizers and water disinfected by solar systems for use as irrigation water. The main difference is that high-rate ponds (open systems) will be used for algae growth rather than photobioreactors (closed systems). In addition, the solar disinfection systems are different and the treatment for obtaining fertilizers will not take place in wetlands but in tree plantations.